If you are considering getting headphones for your child, there are several important factors you will want to consider. These include sound quality, comfort, a lack of distortion, a long enough cord for comfortable usage, compatibility with stereo systems, computers, kids tablets, MP3 players and any type of smart phone. A stylish, lightweight design that appeals to the modern generation without being too bulky is also something to consider. A good set of headphones for kids should also be robust and solid enough to handle being treated a bit rough. Kids very rarely appreciate the value or fragility of technology, which is why we have so many types of protective cases and screens for many devices made for kids. So a set of headphones that can be accidentally trodden on, dropped or thrown to the floor without sustaining any real damage is a good idea. With these things in mind, here is our selection of the best headphones for kids. 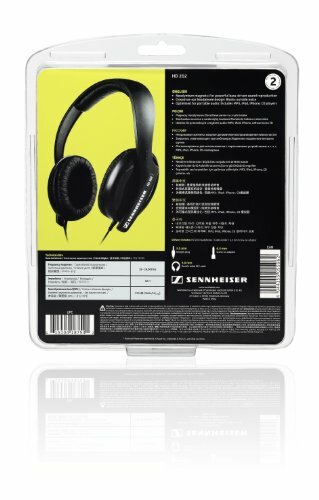 If you are looking for the best headphones for kids, buy you’re worried about the price, a pair of these would be a great choice. 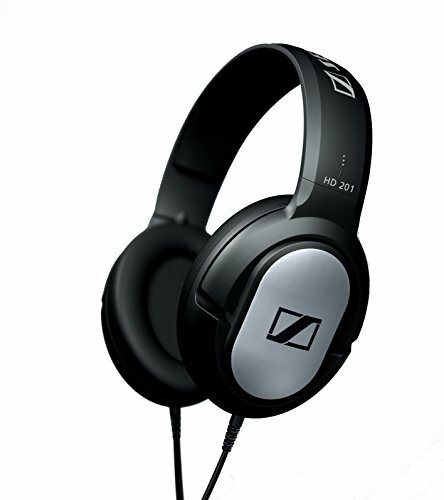 The Sennheiser HD 201 are relatively inexpensive headphones that have incredible quality sound. These headphones are a great deal and will be sure to please that child who craves a pair of hot headsets. When it comes to the depth of the bass or the amount of noise isolated, these headphones really don’t compete with some of the more expensive options available, but nothing worse than what you would expect for this price. The Sennheiser HD 201 headphones are heavily padded, yet remarkably lightweight. This means that your child’s ears and head will not feel uncomfortable after hours of extended use. If you judge only the mid tones and high tones, these headphones are crystal clear. Also, if you are using a laptop or device that you can adjust the bass levels, that will come out great too. If you or your kid are looking for headphones that don’t blow the wallet, you just might want to consider these. Bose is ranked as a world leading producer of some of the best headphones for kids or adults alike, as well as portable speakers. Their best selling Quiet Comfort 15 headphones are very well named. They silence sounds in the nearby environment to mere whispers and churrs. They offer a spectacular range of sound, but some critics have said that these headphones are excessively focused on the bass. An optional cord is included with the package that has a three button remote and a microphone for in line calls. Because this cord is designed exclusively for use with Apple products, a separate purchase will be necessary if you wish to use a remote or mic with a non-Apple device. These headphones were designed to be small and lightweight. Weighing just 4.9 ounces, they can easily be folded up to be put in a carrying case for those busy kids on the go. 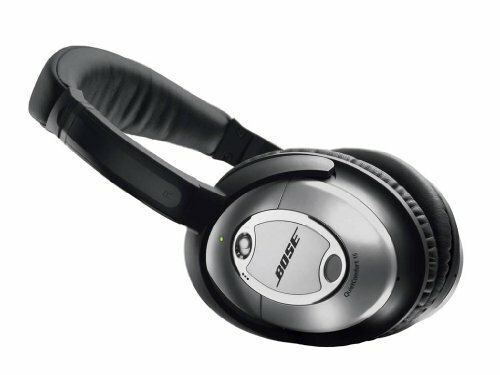 Although they carry the traditionally high Bose price tag, you will be spending your money well. Every aspect of these headphones is high quality. These headphones are surprisingly high quality for the price. You get a pair of headphones with large speakers, thickly insulated ear pads, a leather headband with full adjustability. The four foot cord is long enough for however you intend to use your headphones. Although you may want to consider an extension if you are planning to use these on a home stereo. The detailed, powerful sound is impressive, considering the price tag. In addition, these headphones are excellent at reducing levels of distortion and muddiness. If you want the best headphones for kids on a budget, that still pack a professional punch, you’ll definitely want to try these Panasonic headphones. 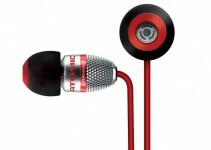 This company has been noted for its headphones that have a professional sound as well as a professional look. Due to the turbine diaphragms, these headphones offer a deep bass without distortion. The 10 foot cord on these headphones might be cumbersome, but the belt clip provided can be used to hold any slack. These great quality headphones are available at the low end of the price range. Perfect for headphones that may become the victim of your child’s next temper tantrum. These headphones are considered mid-line between cheap quality and high quality. 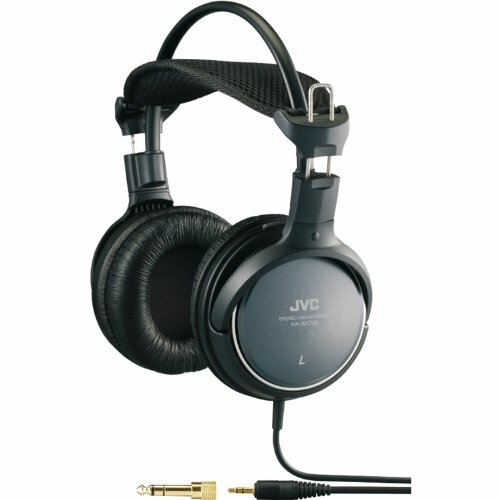 Coming in at around $50, they offer better quality than many of the cheaper headphones, but are still affordable. Although they are lightweight, they have been called bulky by critics. So if you are looking for headphones that are going to be travelling everywhere with your child, you may want to consider one of the other headphones in this list. The high and middle tones in these headphones are sharp and crystal clear, and the bass is quite powerful. It doesn’t sound the least bit fuzzy. The thickly padded ear cups ensure that the headsets are comfortable to wear for extended periods of time. In addition, the thick padding helps to isolate the music from background noise. However, if your child has tender ears or a large head may find that the ear cups are aggravating. If your kid is interested in the high quality provided by over-the-head headphones, but doesn’t want to be moving around the house trailing a long cord, these headsets are the perfect option. The charging cradle included with the Sennheiser RS120 can be wall mounted, allowing you to store the headsets wherever you want. 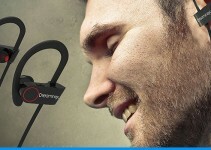 The headphones can be connected to a computer, smart TV, stereo system or phone via Bluetooth. You can go anywhere in the house you wish while listening to music. 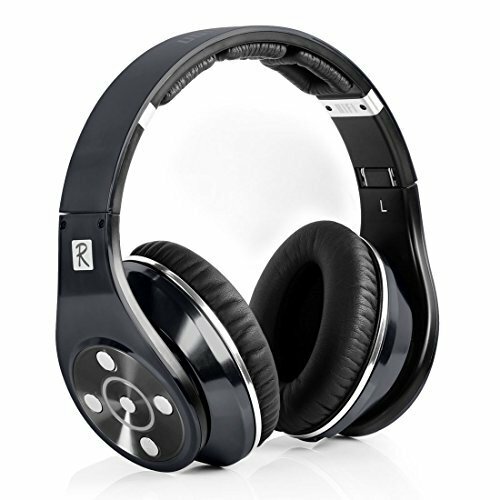 You can even go outside, taking advantage of the staggering 328 foot range offered by these headphones. These wireless headphones are a steal that you shouldn’t pass up without a very good reason. 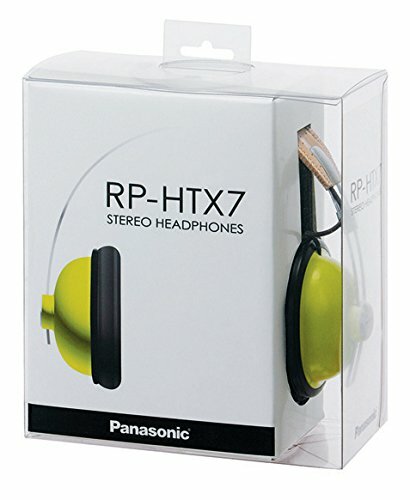 If you or your child want in-ear headphones, but think they are uncomfortable or easy to lose, consider purchasing these great headsets offered by Panasonic. The RP-HT21 are priced at an incredibly affordable rate. Although they are inexpensive, the quality and richness of the sound offered is staggering. 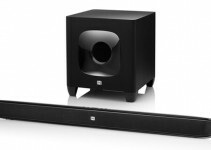 Considering that you wouldn’t expect high-quality sound from something this cheap. The soft ear pads and wide headband ensure that your ears won’t get overheated, and that they are comfortable to wear for extended periods of time. The low price tag means that you can wear them anywhere, get spares and not have to worry about losing or damaging your expensive digital equipment. These headphones are some of the best headphones for kids in the world. Equipped with eight drive structures, six 3D speakers, and two subwoofers. You will experience music the way the artist truly meant for you to. The patented design allows for a steady flow of air through the speakers. This allows for sharp treble and throbbing bass. The SD slot on these wireless headphones allows you to store MP3 songs on your headsets, or you can connect them to your Bluetooth device. The price on these headphone is very modest, considering the quality. Consider getting these for your kid if they are always listening to music or playing video games. This remarkable invention combines a hat with headphones, how cool is that. 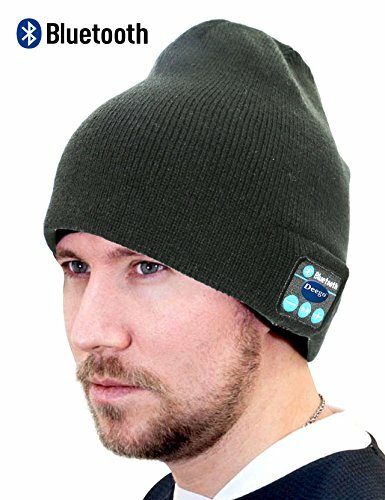 Enabling the user to listen to music, make phone calls and stay warm all at the same time. The hat is no heavier than standard hats and is comfortable in all seasons. The quality of the sound is great, considering that the device is wireless. The headset battery has a life of six hours talk and three days standby. The hat is washable, so you won’t have to worry about making your child be careful while wearing it. The Puro Sound Labs BT2200 are quite possibly the all round best headphones for kids, with everything from the color range to the build materials considered very carefully. The lightweight aluminum is hard wearing and will last much longer than plastic alternatives. Especially if your kid is prone to the odd tantrum or two. Available in four colors for girls and boys, the BT2200 headphones are both simple and easy on the eye. The sound output is capped at 85dB to protect your child’s ears. Sound output over 85dB is known through research to cause hearing damage over time. This limit protects your kids from ear damaging sound exposure. As these kids headphones block out the vast majority of background noise, the sound cap is not a problem in the slightest and the volume is crisp and clear. 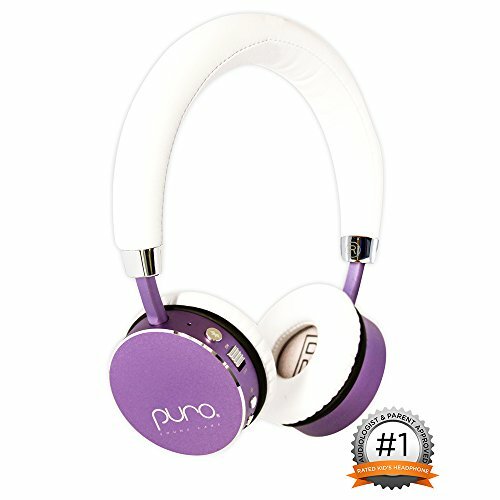 The Puro Sound Labs BT2200 kids headphones are rechargeable, with 18 hours of life from a single charge. In terms of connectivity, these headphones for kids use the latest Bluetooth technology so your kids can use them with any of their phones, tables or other devices.